UNIONDALE, N.Y., Feb. 11, 2019 /PRNewswire/ -- Arbor Realty Trust, Inc. (NYSE: ABR ), a real estate investment trust and national direct lender specializing in loan origination and servicing for multifamily, seniors housing, healthcare and other diverse commercial real estate assets, is pleased to announce the appointment of Steven Katz as Chief Investment Officer and Executive Vice President, Residential Financing. Mr. Katz will be responsible for growing Arbor's presence in the residential market and will develop Arbor's proprietary Single-Family Rental (SFR) portfolio platform. Mr. Katz comes to Arbor with more than 25 years of experience in mortgage trading, banking and servicing. Prior to joining Arbor, Steven served as a Managing Director for Morgan Stanley, where he was responsible for leading the residential loan trading and lending groups. Prior to that, he served as Chief Executive Officer and Chief Investment Officer for Seneca Mortgage, a brand of privately held entities focused on residential mortgage servicing and investments, with a $36 billion servicing portfolio. 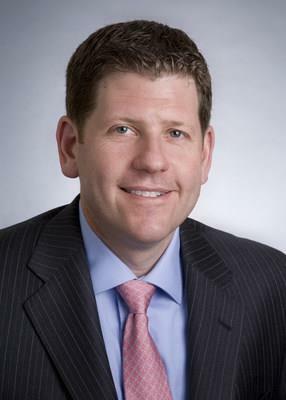 From 2008-2013, Steven served as Chief Investment Officer for Arbor Residential Mortgage. Mr. Katz received a Bachelor of Business Administration from Baruch College. "Steve's tenured experience, deep knowledge of the business and strong track record of success in residential mortgage trading, securitization and servicing, as well as his proven success in building out new businesses, makes him the ideal candidate to serve as Arbor's Chief Investment Officer and lead the development and growth of our SFR portfolio platform," said Ivan Kaufman, Chairman and CEO, Arbor Realty Trust. "With more than half of the rental housing in the United States being comprised of single-family rentals, we are committed to this industry and look forward to leveraging Steve's expertise and our national sales and operations platforms to significantly grow this business." Arbor Realty Trust, Inc. (NYSE: ABR ) is a nationwide real estate investment trust and direct lender, providing loan origination and servicing for multifamily, seniors housing, healthcare and other diverse commercial real estate assets. Headquartered in Uniondale, New York, Arbor manages a multibillion-dollar servicing portfolio, specializing in Fannie Mae , Freddie Mac and other government-sponsored enterprises, as well as CMBS , bridge , mezzanine and preferred equity lending. Rated by Standard and Poor's and Fitch Ratings, Arbor is committed to building on its reputation for service, quality and flexibility and dedicated to providing our clients excellence over the entire life of a loan. SOURCE Arbor Realty Trust, Inc.